There is nothing quite like fishing in Cabo San Lucas. 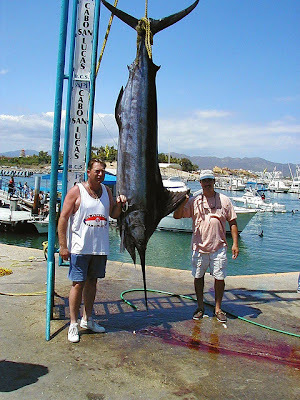 Sportfishing is what orignally put Los Cabos on the map and people come from all over the world to reel in one of the big marlin swimming around the Baja peninsula. Rookie anglers and seasoned pros head out daily on one of the hundreds of Cabo San Lucas fishing charters. They almost always come back at the end of they day with a big smile on their face and enough fish to feed an entire restaurant. Everyone needs to experience Cabo San Lucas sportfishing at least once but they will never want to go home once they realize how much fun it is. Book your fishing charter in advance. You can book a private charter or sign up to share a boat with others, but reserve your spot at least one week in advance. Prices: Four anglers in a smaller vessel will run around $500 on the low end. $1,500 per day will get a group a larger charter boat and if you are looking for a yacht you will pay at least $2,800/day. Sustainable fishing practices: There are strict rules helping to preserve the fish population neaer Los Cabos and prevent overfishing. You are expected to practice catch and release for sailfish. What to bring: Water (often provided), sunglasses, sunscreen, hat, warm clothes for morning, camera, and dramamine. Whats included (double check to be sure): Food and drinks, dock fees, ice, taxes, fishing license, live bait, filleting catch, and gratuity. Don't assume any are included with your charter unless they specifically state it on their website. Nearby restaurant: Have your fish cleaned and filleted then take it to a restaurant that will cook it up for you any way you like it. The best fish is a fish you caught and ate in the same day. Smooking and freezing: Most charters will offer a service for smoking and freezing your catch. This is good for eating it throughout the week or if you are planning on taking it home. Take the fish home: Pack your frozen fish in an ice chest and bring it back on the plane with you (checked luggage of course). 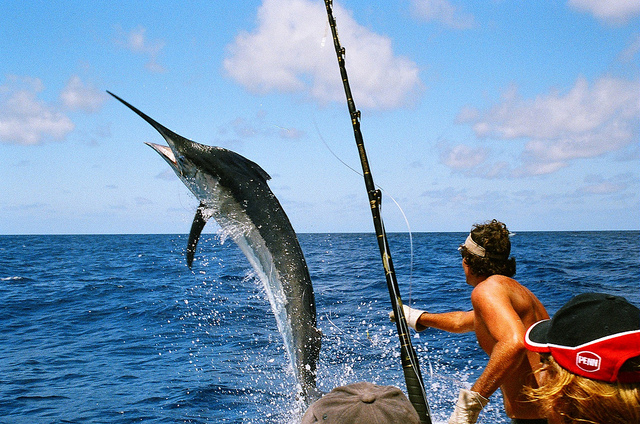 Show off your catch to everyone back home who didn't experience fishing in Cabo San Lucas. Taxidermy: If you caught the biggest fish of your life and want to have it stuffed for your wall back home, there are services that will do that. We highly recommend you take a picture of the gorgeous fish and accurate measurements then let him swim away at sea while you purchase an exact replica taxidermy. 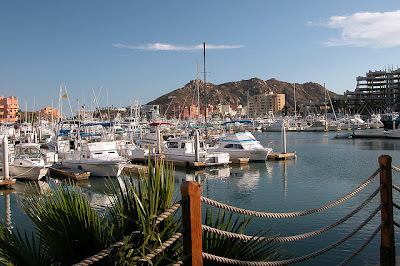 If you are serious about going fishing in Los Cabos, visit our complete guide to Cabo San Lucas fishing. The guide includes detailed descriptions of tournaments, hot fishing spots near Los Cabos, fishing tips, weekly fishing report, extensive list of charter boat companies, and a thorough F.A.Q. page.